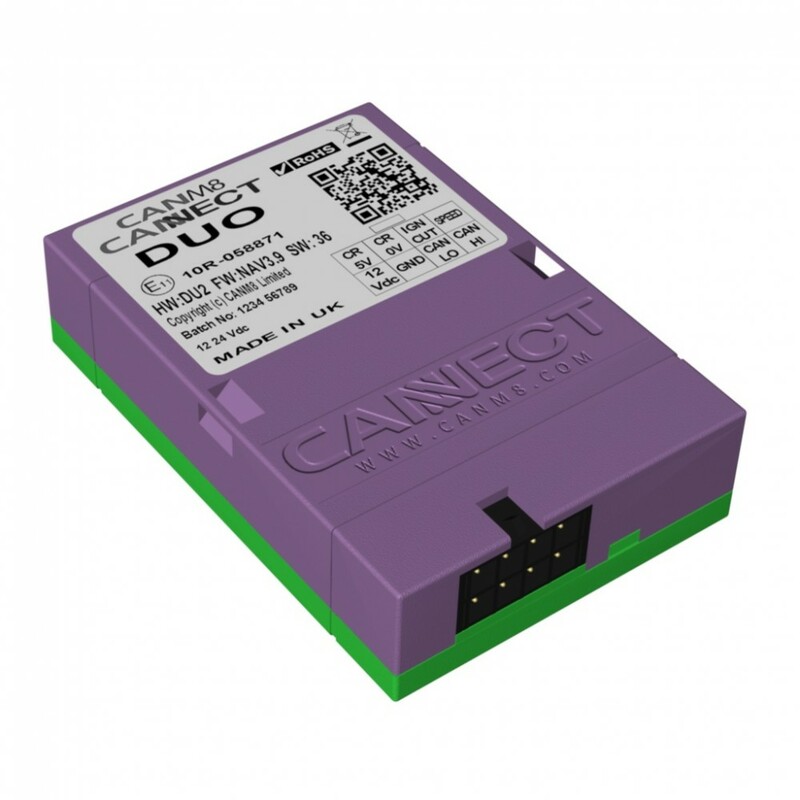 The CANM8 CANNECT DUO interface is a twin output CAN Bus interface that is designed to provide a universal solution for installing after-market electronic products that require a speed pulse and ignition-on input signal from vehicles which feature CAN Bus wiring. This interface features "Key-In" detection with compatible vehicles enabling the ignition-on output to remain active when the ignition is turned off but the key remains in the ignition. The CANM8 CANNECT DUO is ideal for use when installing taxi meters, rally meters, or any other after-market equipment which requires a speed pulse and igntion-on input signal.